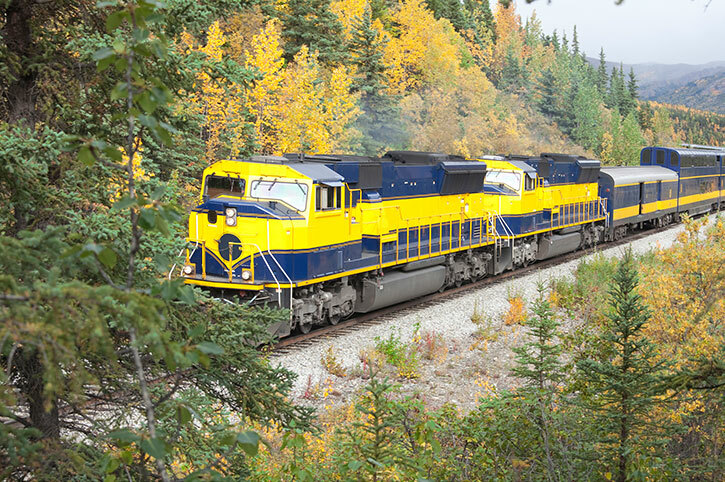 A once-in-a-lifetime wilderness experience awaits as you explore the scenic valleys and snowcapped peaks of Alaska. 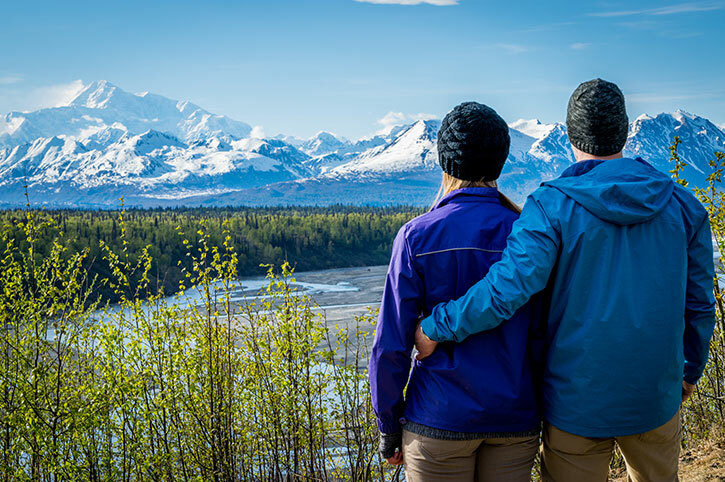 Traverse Denali’s tundra and Hurricane Gulch on your way to Kenai Fjords National Park – home to Black Bears, the Harding Icefield Trail and Resurrection Bay. Welcome to Fairbanks. Spend the afternoon getting settled in or do some sightseeing. At 6 p.m., gather at the hotel with your Travel Director and fellow travellers for a Welcome Reception. Start your day with a visit to Creamer’s Field Refuge where a Local Specialist will take you on a peaceful nature walk to view migratory birds before a visit to the historic farmhouse. Board a paddlewheel riverboat on a journey to a recreated Athabascan village. Enjoy some free time to explore Fairbanks on your own before a salmon bake Regional Meal. Wind your way through the scenic Tanana River Valley on your way to vistas of snowcapped Mount Denali-at 20,320 feet (6,194 metres), it is the highest peak in North America and the centrepiece of Denali National Park. Settle into your hotel and enjoy a presentation by a Local Specialist about the uniqueness of the Subarctic flora and fauna before delving into Denali’s lively history at a Regional Meal and show at the Denali Dinner Theatre. In 1976 President Jimmy Carter designated Denali National Park as an international biosphere reserve, focusing on ecosystem conservation and prudent use of national resources. Today is yours to completely explore the park as you wish. Get an up close view of Mt. Denali, the Great One! Enjoy a helicopter thrill as you soar high above the land and view wildlife, alpine glaciers, the Alaska Range and Mt. Denali from afar (Weather dependent). This tour is highly recommendable for our “once in a lifetime” adventurers.” Approx. flight duration: 35 minutes. “Get an up close view of Mt. Denali, the Great One! Enjoy a helicopter thrill as you soar high above the land and view wildlife, alpine glaciers, the Alaska Range and Mt. Denali from afar (Weather dependent). This tour is highly recommendable for our “once in a lifetime” adventurers. Approx. duration: 50 minute flight time with 15-20 minutes on the glacier. Get an up close view of Mt. Denali, the Great One! Enjoy a helicopter thrill as you soar high above the land and view wildlife, alpine glaciers, the Alaska Range and Mt. Denali from afar (Weather dependent). This tour is highly recommendable for our “once in a lifetime” adventurers. Heli-Hiking Adventure. Approx. duration: 15 minute flight with 3 hour hike. We offer the only flight that lands on glaciers at the base of Mt. Denali. The pilot will ensure everyone has ample opportunity for photographs, especially photos of Denali. Upon arrival at one of the glacier landing zones passengers deplane and step into the “Ice Age”. Passengers spend 20 minutes snowball throwing, snow angel making, picture taking, or just being awed by the beauty of the “other worldly” surroundings. Enjoy free time this morning before boarding the famous Alaska Railroad for the scenic journey to Anchorage. Relax in the Deluxe Dome Railcar as onboard experts discuss the spectacular landscapes of Hurricane Gulch and Indian River Canyon. After arriving in Anchorage, the evening is all yours. 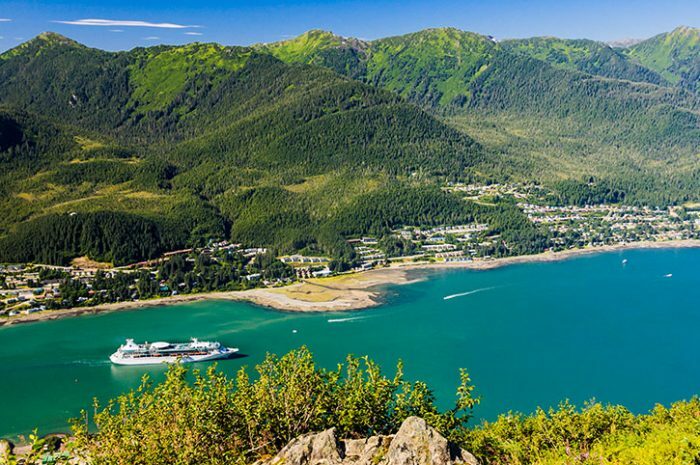 Explore Anchorage’s historic downtown district and view the scenic shores of Cook Inlet. Stop at a local sports fishing hatchery where over 6 million sport fish are hatched every year. Your Local Specialist will explain this complex process and its positive economic impact on the local communities. Visit the Alaska Native Heritage Center where you can walk along wooded paths past indigenous villages and meet with natives from different parts of the state. After some free time, join your newfound friends at a Farewell Dinner and toast to your Alaskan adventure. Fly over a Glacier! 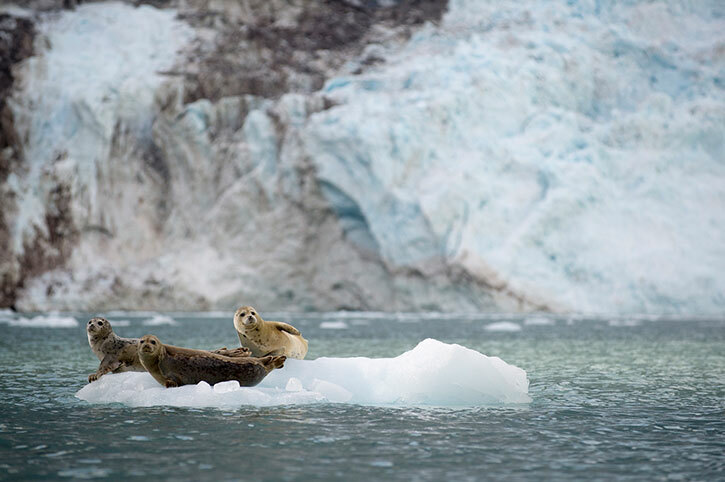 Take a Knik Glacier tour and experience a glacier and wildlife adventure. Soar over towering Knik Glacier – At 25 miles long and 5 miles wide, it is one of Southcentral Alaska’s biggest and most spectacular glaciers. Approx. duration: 1.5 hours. 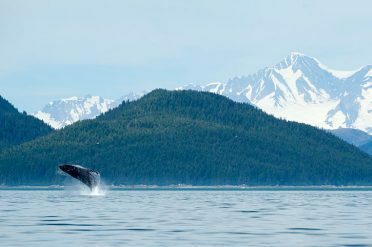 Visit a wildlife rehabilitation centre with a guide before embarking on a sightseeing cruise into the heart of Kenai Fjords National Park. Enjoy a lunch made of fresh, local ingredients while taking in the views of abundant wildlife and magnificent glaciers. Bid farewell to those who will be joining the Glacier Discovery Cruise with Holland America Line. 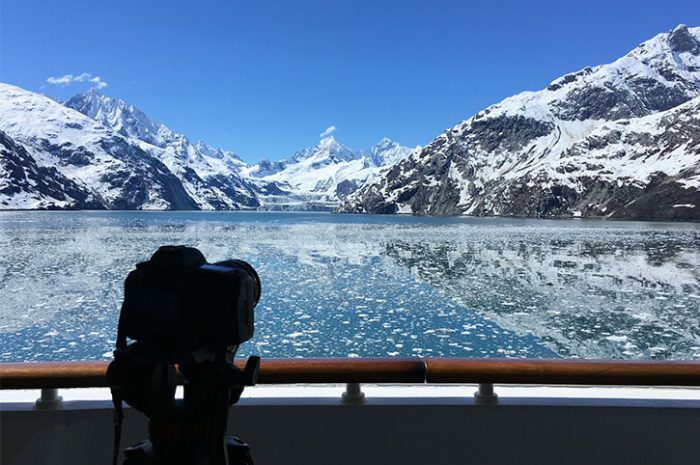 Watch as Glacier Bay National Park’s immense glaciers, towering peaks and icy rivers pass you by. Haines is home to autumn’s Alaska Bald Eagle Festival and lies alongside the longest fjord in the U.S. Visit the quaint downtown. 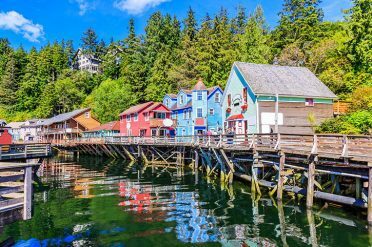 Stroll Juneau’s picturesque streets, stopping in eclectic shops and saloons from the Gold Rush era. Perhaps embark on an optional trip on the Mount Roberts Tramway for exhilarating views of the harbour and nearby mountains. Check out the world’s largest collection of standing totem poles, intricately carved with native designs. Perhaps take an optional guided tour through town or a floatplane flightseeing trip. Sail into Vancouver Harbour early this morning. After disembarking, take your transfer to Vancouver International Airport or to the hotel if you wish to extend your stay. Alternatively, choose our 8 day Majestic Alaska Guided Tour from £2232 for shorter stays.